Balfron is a village near to the Loch Lomond & The Trossachs National Park boundary, 18 miles west of Stirling and 16 miles north of Glasgow. Situated near the Endrick Water Balfron is a key rural settlement for the area, developing from a local textile-weaving industry. As well as a number of historic buildings dating from the 18th and 19th centuries, facilities include shops, a secondary school and a health centre. The village’s most famous son is the renowned 19th century architect, Alexander 'Greek' Thomson (1817 - 1875). 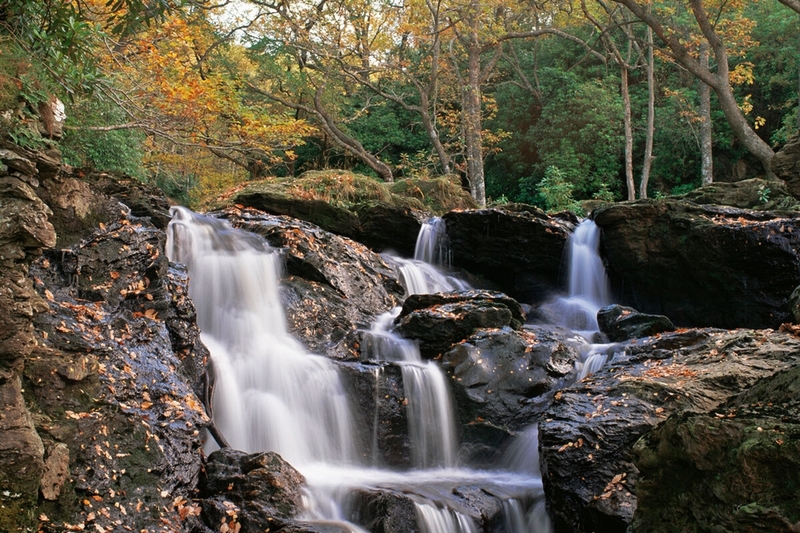 The Loch Lomond & The Trossachs National Park is close to Balfron with a variety of outdoor pusuits on offer. Loch Lomond Shores with a variety of shops, places to eat, walks and activities is 15 miles away by road. VisitScotland / Kenny Lam, all rights reserved Two hikers stand on the top of a hill, looking down at Loch Lomond, scattered with islands. 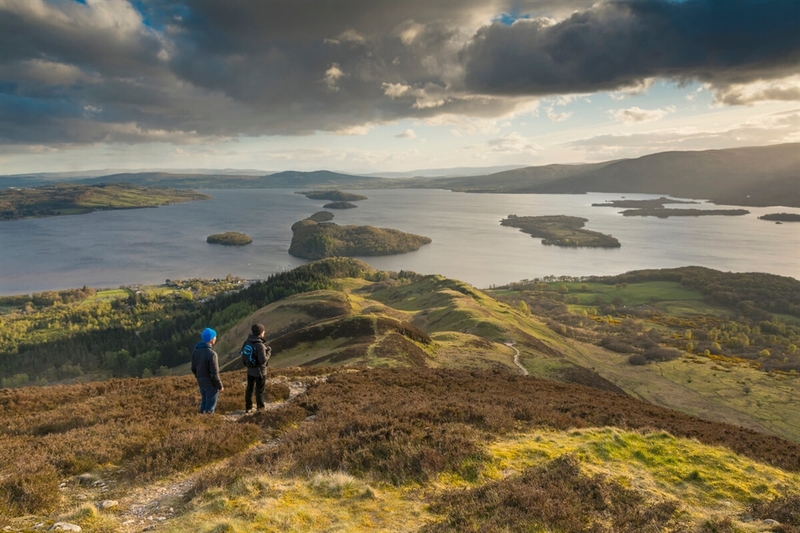 VisitScotland / Kenny Lam, all rights reserved Two hikers stand on the top of a hill, looking down at Loch Lomond, scattered with islands. VisitScotland, all rights reserved. The Pots of Gartness, a waterfall in the course of the Endrick Water near Balfron, strewn with leaves in autumn.